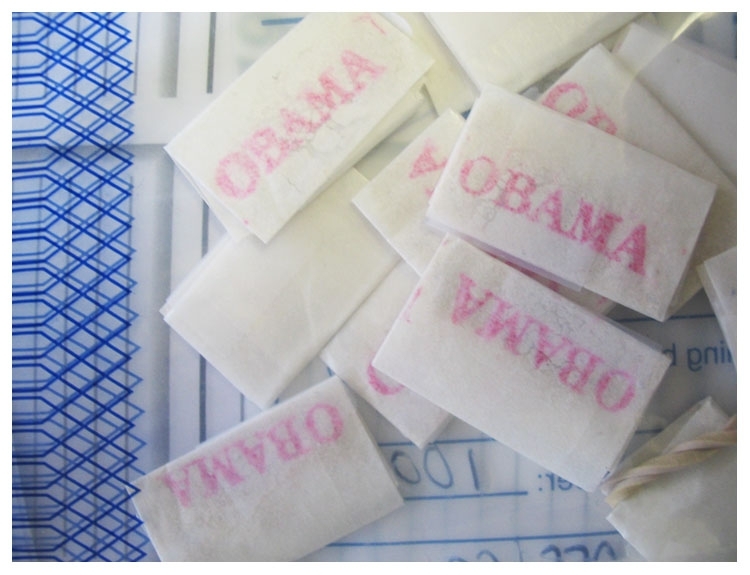 JANUARY 23--Add heroin to the scores of products that have been branded with President Barack Obama's name. 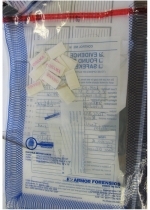 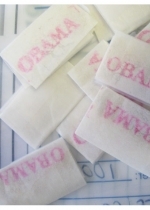 Cops in upstate New York this week broke up a drug ring that allegedly sold heroin under several brand names, including "Obama"' As seen in Sullivan County Sheriff's Office photos, the president's surname was stamped in red ink on small glassine wrappers that were peddled by street dealers. 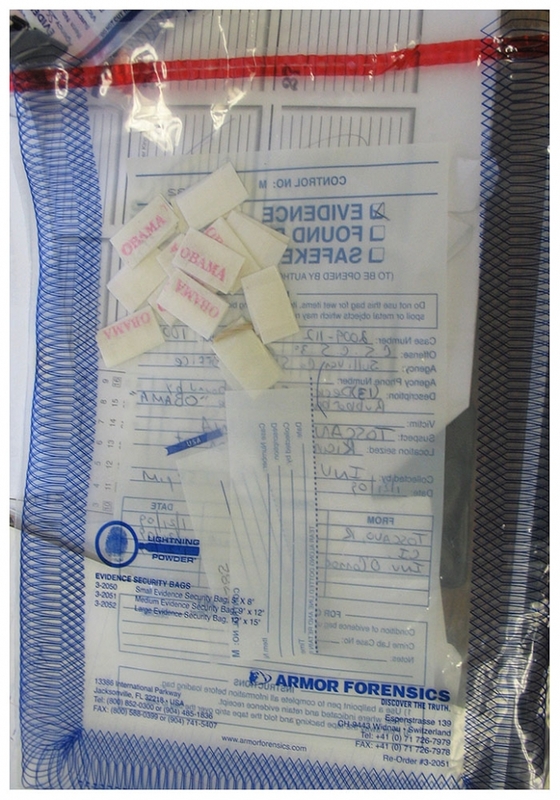 Investigators arrested five suspects for their alleged roles in the narcotics distribution activity.